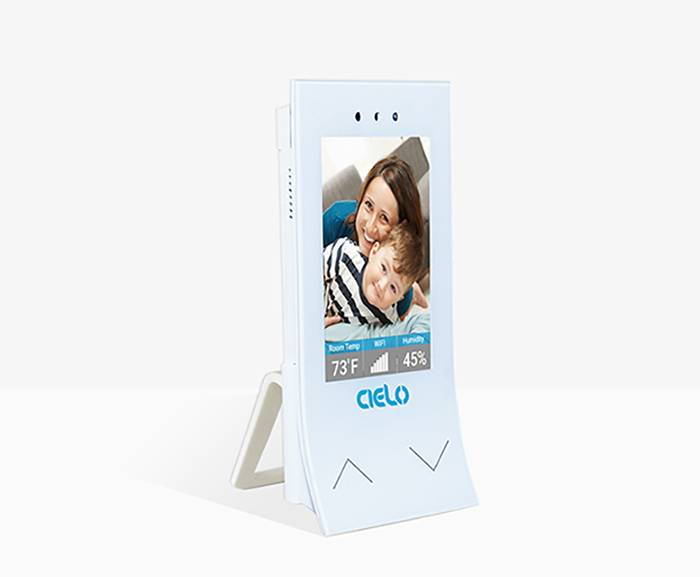 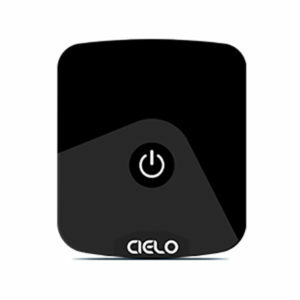 Cielo Breez is a plug & play smart air conditioner Wi-Fi controller. 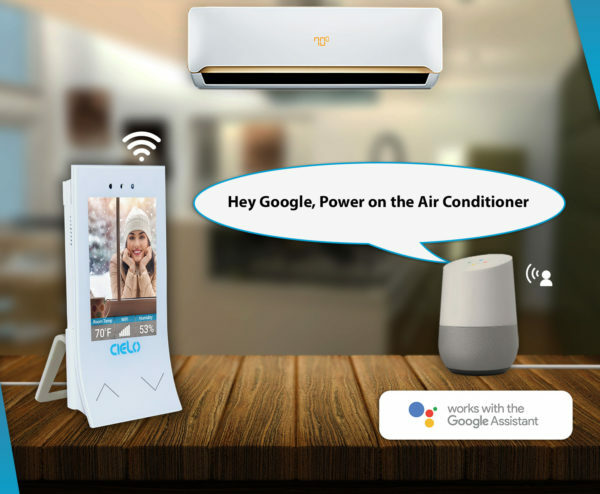 It’s simple to install. 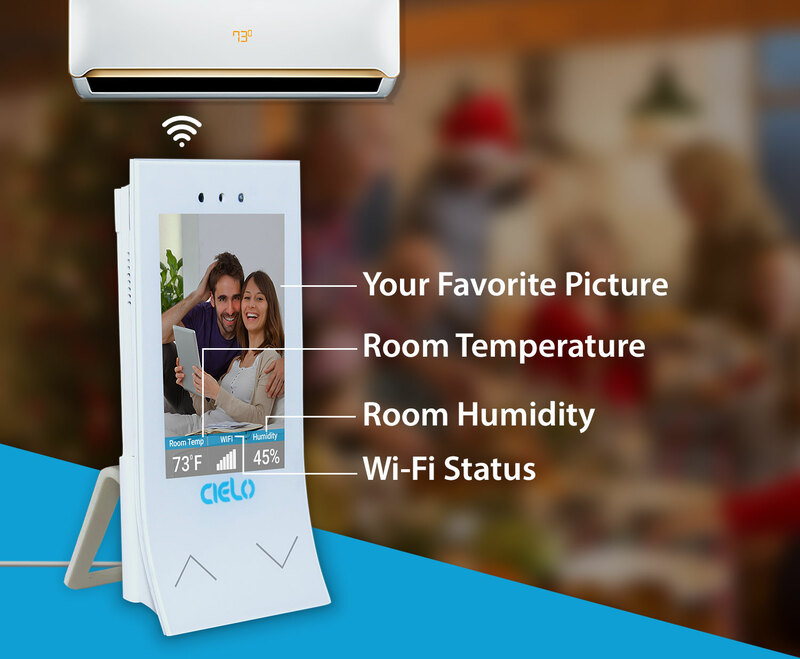 You can hang it on the wall or place it on a table in AC / Heat Pump’s line of sight. 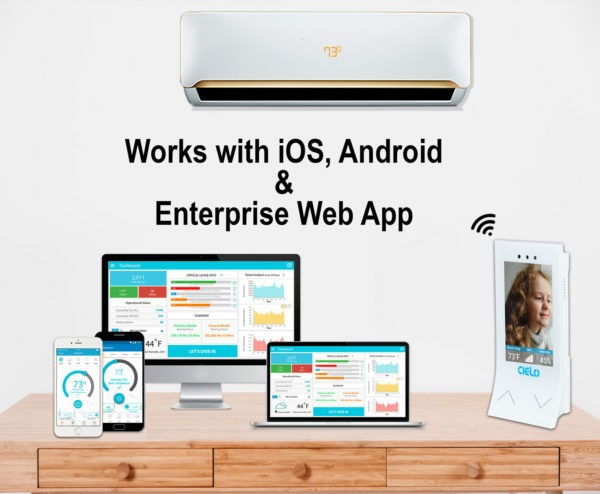 Breez directly connects to your home Wi-Fi router and controls your air conditioner through IR signals. Go global or remain local – your choice for a perfect air conditioning. Apart from control from anywhere, can also use the on device touch buttons to set the temperature, power on/off and display on/off. 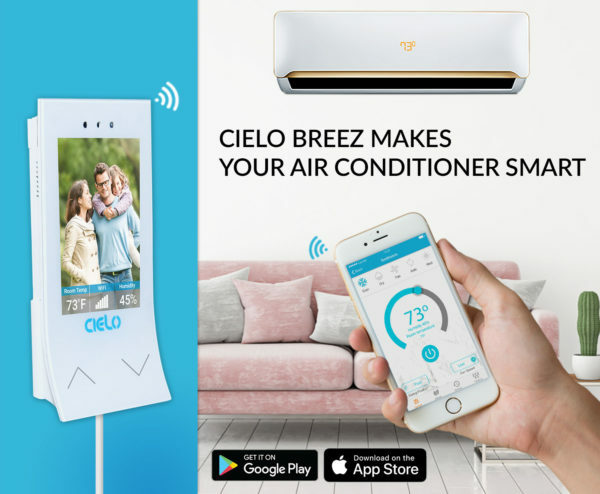 Cielo Breez is a plug & play smart air conditioner Wi-Fi controller. 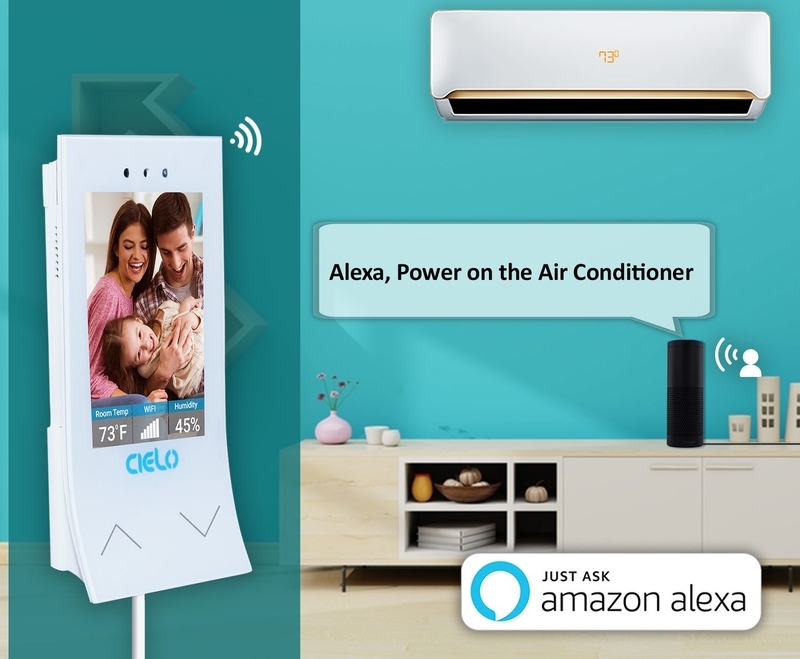 It’s simple to install. 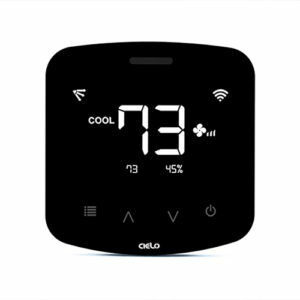 You can hang it on the wall or place it on a table in AC / Heat Pump’s line of sight. Breez directly connects to your home Wi-Fi router and controls your air conditioner through IR signals. 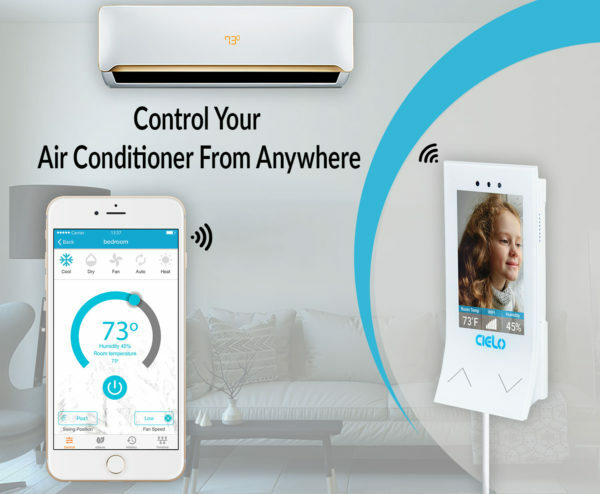 Go global or remain local- Your Choice for a perfect Air Conditioning. 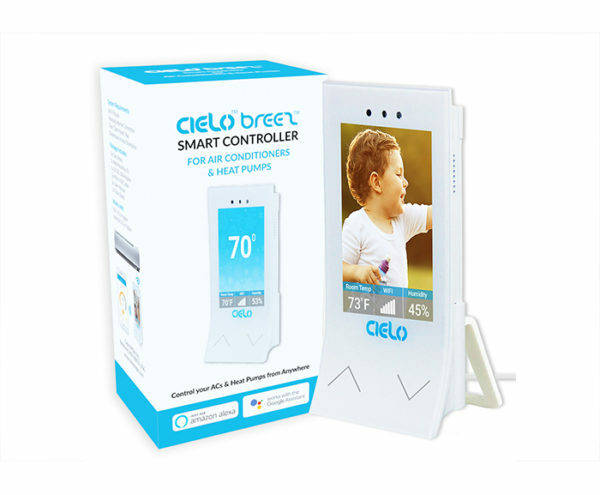 Apart from control from anywhere, can also use the on device touch buttons to set the temperature, power on/off and display on/off.